Celebration tips on Tosche Station Radio. James and Dunc joined Brian and Nanci for the latest episode as we look forward to Celebration Anaheim. Win Jedi Knight passes to Celebration Anaheim. Join the Ghost Hunt at C2E2 and you can be entered into a sweepstakes to win a free VIP ride – including plane tickets – to the next Celebration. Kids. 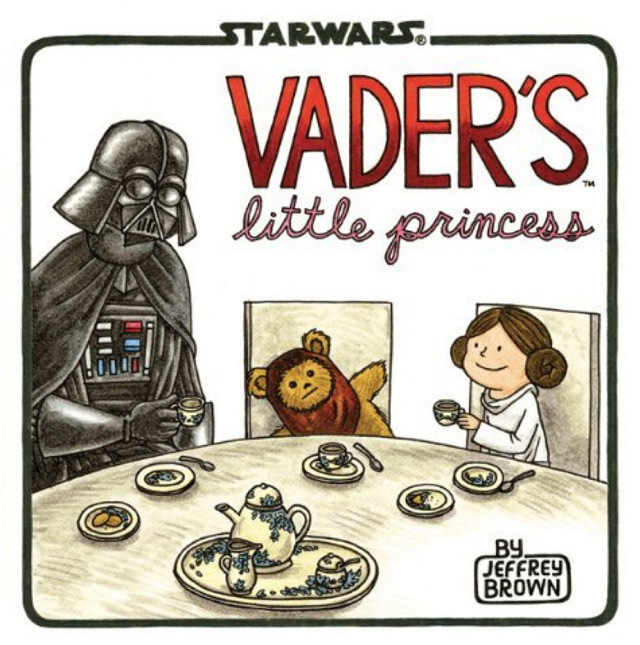 Chronicle Books has revealed the cover for Vader’s Little Princess, Jeffrey Brown’s followup to Darth Vader and Son. In the spirit of the season, Chronicle is also offering printable holiday gift tags. Vader’s Little Princess is due out in April. Audio. The live performance of Kyle Newman’s Smuggler’s Gambit from Celebration VI is now available to download. The cast includes David Collins as Han Solo, plus Sam Witwer, Tom Kane, Ashley Eckstein, Matt Lanter, Dee Bradley Baker, Matthew Wood, Clare Grant, and Daniel Logan. Short stories. Next Tuesday, Jedi News will have an exclusive excerpt of the Timothy Zahn eBook ‘Winner Lose All,’ which releases on the 10th. Mappage. Jason Fry talks about keeping The Essential Atlas as a living book. Interviews. EUCantina talks to Drew Karpyshyn. 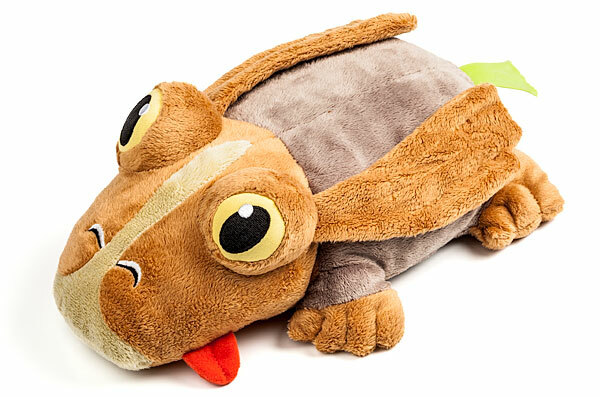 ThinkGeek is now selling some of the Celebration VI exclusives today: Talking Ackbar, Vader/Stormtrooper salt and pepper shakers, the tauntaun hobby horse, the Gamorrean bank, the Death Star paper lantern and, of course, the Jar Jar whoopee cushion. This is the whole thing, clocking in at almost 43 minutes and cameos from Star Wars and The Clone Wars cast/crew, plus fans like Amy Ratcliffe, Bryan Young and even a few Jader cameos! Hint: At about minute 27, Ashley and artist Cat Staggs talk abut the con’s exclusive Mara Jade shirt. Wondering what happened to the TIE Fighter that displayed all the sweets you saw on Cupcake Wars the other night? Well, wonder no more: It’s headed to Steve Sansweet’s Rancho Obi-Wan, of course. In other CVI news, Dave Filoni posted about his own experience in Orlando. If you attended Celebration VI, check your inbox: Reed has sent out a survey about the con! Most of it is fairly standard postgame stuff, but one thing that caught my eye was a list of city options which they ask you to rate. In addition to Orlando, they listed Las Vegas, Kansas City, Anaheim, Dallas, Cleveland and my beloved Indianapolis. Now, the rumor mill has us back in Orlando in 2014, and I’m not inclined to disbelieve that at the moment, but that is an interesting spread of options. (Cleveland?!?) I have to wonder what Anaheim’s convention center is like, as that brings many of the same advantages (ahem, Disney-driven tourism trap) as Orlando, with better weather.